Watch our scholars discuss how they felt about the story, "How to Heal a Broken Wing;" what they learned and how they too can be helpful. "How to Heal a Broken Wing," by Bob Graham. The premise of this month’s reading "How to Heal a Broken Wing," by Bob Grahams appears simple: a young boy is the only person among a busy crowd who cares that a bird has fallen with a broken wing. Along with his parents, he takes the bird home to nurse it back to health and eventually returns it to its home. Even though it may seem straightforward, this month's reading is actually a very powerful story that teaches students of all ages about helpfulness and service. 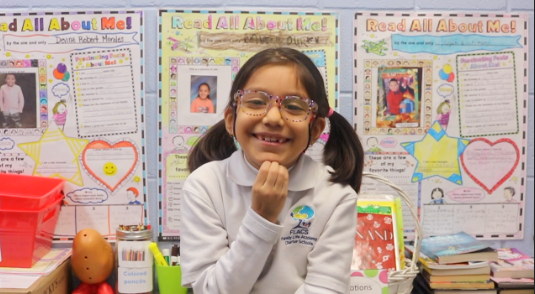 In the video below, FLACS I Scholars discuss how they felt about the story, "How to Heal a Broken Wing;" what they learned and how they too can be helpful to each other, at home, and in their community.